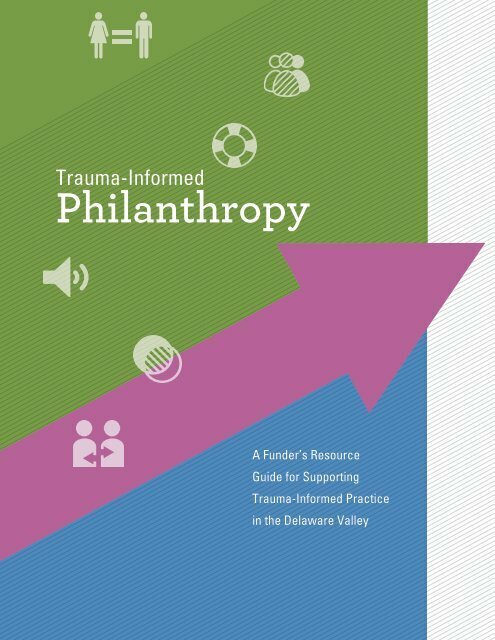 In partnership United Way of Greater Philadelphia and Southern New Jersey and Philanthropy Network Greater Philadelphia, the Scattergood Foundation has developed resource guides to educate funders about their role building the trauma-informed movement. The science is clear – the effects of trauma and adversity build up over the human lifespan and contribute to negative outcomes in all aspects of individual, family, community, and societal life. Some effects can even pass from generation to generation. In the last two decades, we have come to understand trauma as pervasive and distributed inequitably among vulnerable populations and under-resourced communities. The good news is that trauma-informed practice can prevent and mitigate these impacts. Scientists, service providers, philanthropists, business people, policy makers, and community residents are coming together to build a movement for trauma-informed and resilient communities, improving outcomes in areas as divergent as healthcare, education, and criminal justice. Philanthropy has a significant role to play in this work. By understanding the science and deploying resources in creative ways, funders can build knowledge and capacity among organizations and communities testing trauma-informed and resiliency approaches. 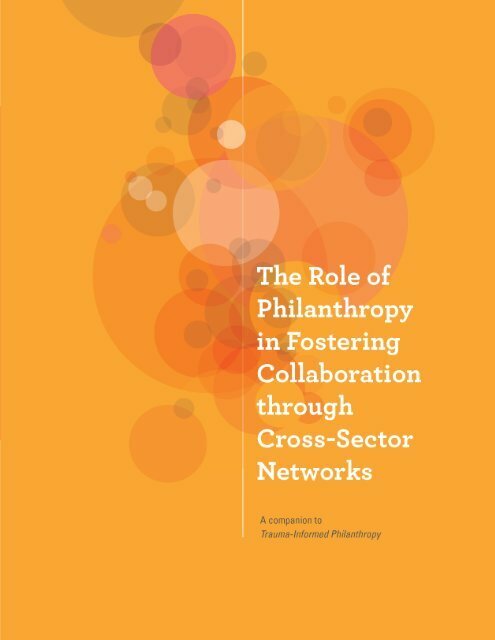 Funders can also influence broader systems change by leveraging their relationships, especially in sectors like government and business. 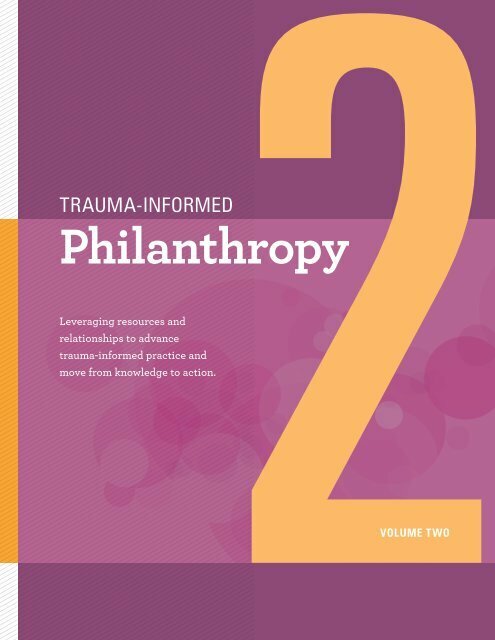 This is why we partnered with Philanthropy Network Greater Philadelphia and the United Way of Greater Philadelphia and Southern New Jersey to develop the Trauma-Informed Philanthropy series. We’ve commissioned a series of papers on behavioral health issues that aim to influence ongoing deliberations around policy reform. We’ve published papers that begin to identify incremental changes and solutions that could help to improve health and human service systems. Reducing stigma of mental health and substance use disorders is an essential component of health literacy. Stigma is a barrier to help-seeking and is an obstacle to wellness. The Place Matters series published by the Foundation and Azavea is a collection of reports that examine the distribution of assets in each of the 10 city council districts and ranks each district in terms of how those assets stack up in terms of the level of risk faced by children in those areas.